Whilst a heatwave hits large parts of the northern hemisphere, it’s winter truffle season in the south. 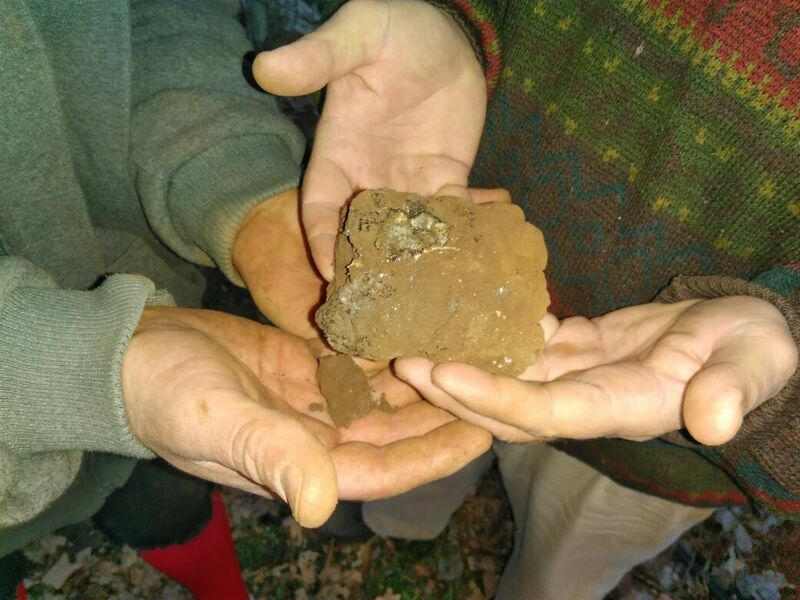 Last weekend, during the first ‘hunt’ of one of our Southern African truffle orchards a total of 40 black winter (Périgord) truffles were found including one 380g monster (click through for pictures)! We have some great projects in South Africa and a number of plantations are now in production with a total of three different truffle species. Production at 5 years is young for a plantation but these results again highlight the importance of checking your trees for signs of truffles from quite early on. Whilst a heatwave hits large parts of the northern hemisphere, it's winter truffle season in the south. Last weekend, one of our Southern African truffle orchards was checked by Leon Potgieter and the results were very promising. This site, at around 2Ha and just 5.5years old, uses a range of tree host species and MSL technology. During the first ‘hunt’ a total of 40 black winter truffles were found including one 380g monster (pictured) worth around £700! In addition, remains of some much larger truffles were also found and the site will now be regularly hunted. 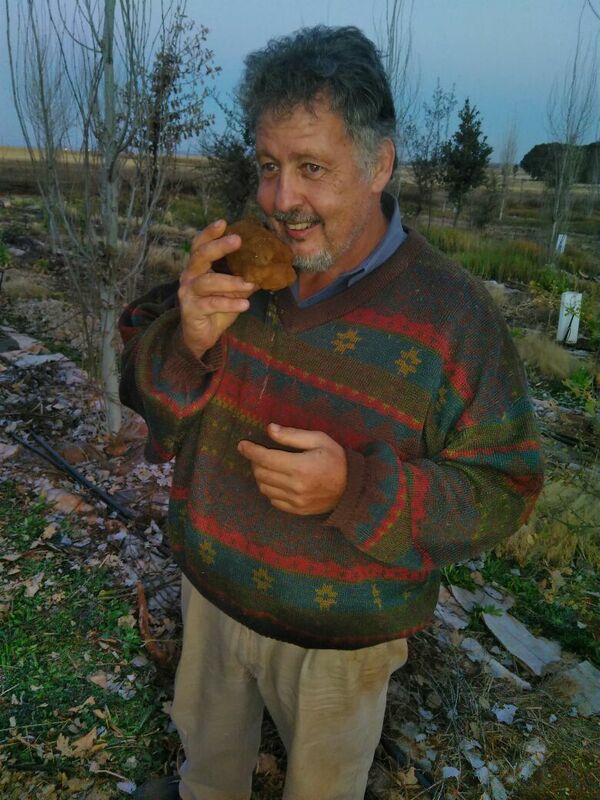 A very happy farmer with his 380g early truffle find! 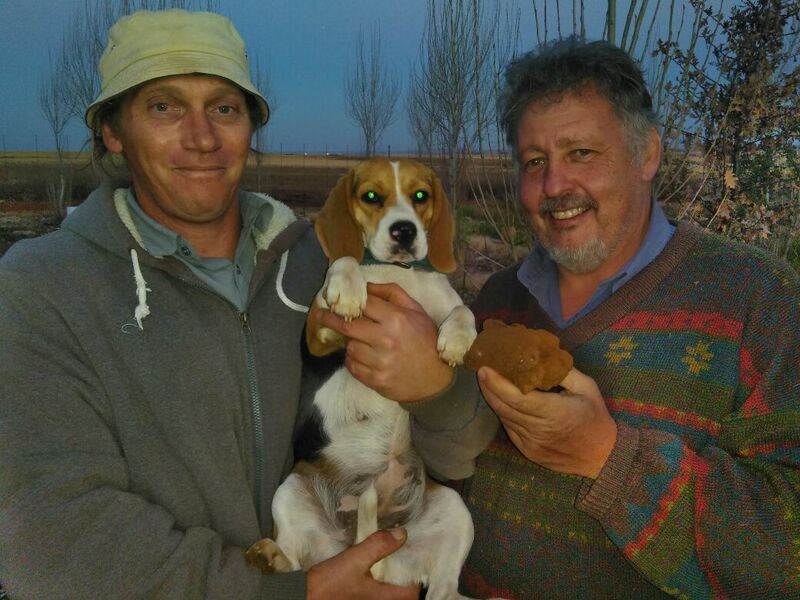 We have some great projects in South Africa, headed-up by Mr Potgieter, and a number of plantations are now in production with a total of three different truffle species - the black winter Périgord truffle (tuber melanosporum), the summer truffle (tuber aestivum) and the whitish spring truffle (tuber borchii). Production at 5 years is young for a plantation but these results again highlight the importance of checking your trees for signs of truffles from quite early on.